Tallahassee real estate sales have returned to levels that we have seen before. In fact, the number of homes sold over the past twelve months is the same as we reported for the twelve months ending in October 1998! (Yes, that was 18 years ago ...). 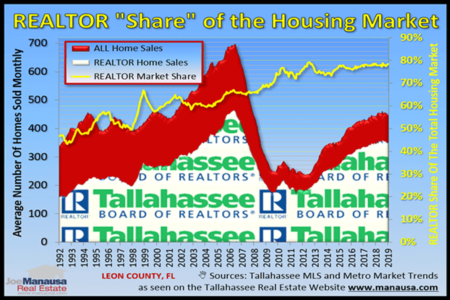 So our rate of home sales in Tallahassee is the same as it was eighteen years ago, and you can see graphical proof of this below. The one year average of monthly home sales is shown in green, measured on the left vertical axis. The average Tallahassee home sales price is shown in red and measured on the right vertical axis. The black arrows simply guide us back in time to when the average number of homes sold each month was the same as it is today. Using the information listed above, we can perform a simple calculation to compare home affordability in 1998 versus home affordability today in Tallahassee. The monthly principal and interest payment that a typical buyer would have paid in 1998 was $654, whereas the typical buyer today is paying $793 per month, a 21% increase. Property taxes and homeowners insurance are higher today, but wages have increased as well too. One primary difference is the equity growth for today's buyer, who has the dual benefit of having a higher priced asset appreciating and a lower mortgage interest rate which means most of the payment gain is allocated to principal reduction. In other words, the extra $139 in the monthly payment is mostly going to pay down the loan (some refer to this as a forced savings account). Our population is 25% greater than it was in 1998, yet we are seeing the same number of people move. We have to conclude that either we are in a new normal where people stay in their homes for a longer duration, OR there is plenty of upside left in this market. I choose the latter, as it is very rare for extremely long-term cycles to come to an end, instead it is more likely that we are seeing an atypical fluctuation in a cycle. I believe Tallahassee's rate of growth, when viewed over the past 100+ years, is still viable today. In fact, I believe we are only a few (issues) away from seeing our growth rate accelerate (jobs would be the primary issue). Even if our rate of growth remains the same, our population still needs to live somewhere. We will see multi-family grab a larger segment of the market, but there still remains single family attached and detached home sales that are currently unfulfilled. If I am correct, it means local home sales will continue to grow. (You can check out my FORECAST HISTORY HERE to see how well I did in the past). I believe 2016 will see hundreds of home sales beyond what was recorded in 2015. Some homeowners today are in a perfect position to relocate to a more favored home which will allow them to grow equity at a faster rate while also living in a "better" home. 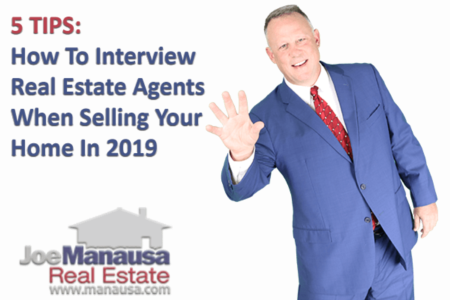 If you have been considering moving, you should TALK TO US about all of your options and look at some of the opportunities that are available in the Tallahassee real estate market today, we are here when you need us.